RSVP To Win: On The Mountain with The Wild Honey Pie! Remember The Wild Honey Pie Summer Camp? The lake, the pool, those heavenly corn dogs, and of course, intimate performances by some of our very favorite bands. If you’re looking to relive those glorious memories, minus the sweltering sun, get ready for WHP’s next great adventure: On The Mountain! 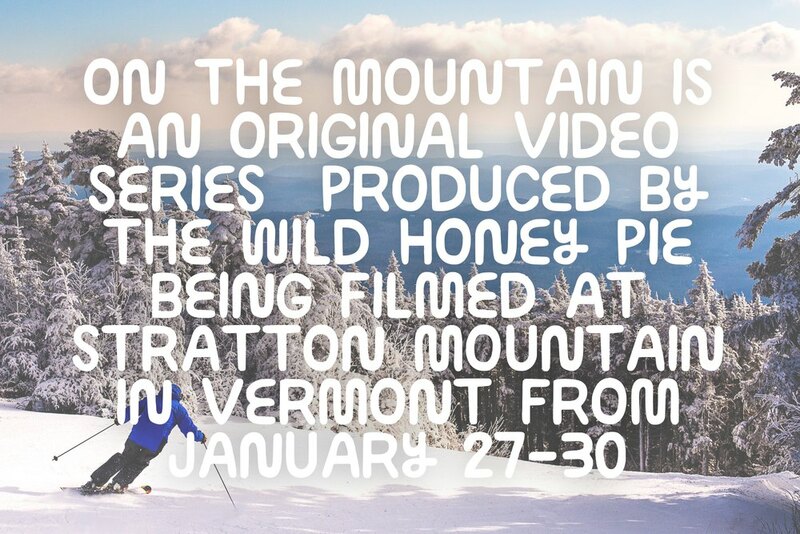 This latest interactive video series by our fave music blog will be shot in Stratton, Vermont, on January 27- 30. The snowy, picturesque setting will provide the perfect backdrop for performances by Small Black, Misterwives, Snowmine, Alex Winston, How Sad and White Sea. Great music, great skiing, and yummy sponsors like Larabar, Cabot, and Magic Hat-- Seriously, who wouldn’t want in on this action?! Unfortunately, not everyone can experience the magic of On the Mountain first hand (they’re called “intimate recording sessions” for a reason). But if you’d like the chance to become one of The Wild Honey Pie’s extra special guests, RSVP here. On January 20, ten lucky winners will be randomly selected to join the winter-wonderland themed fun. So good luck, hopefuls!! We’re also hoping for the chance to show off our skills on the slopes (or lack thereof). See you On the Mountain!